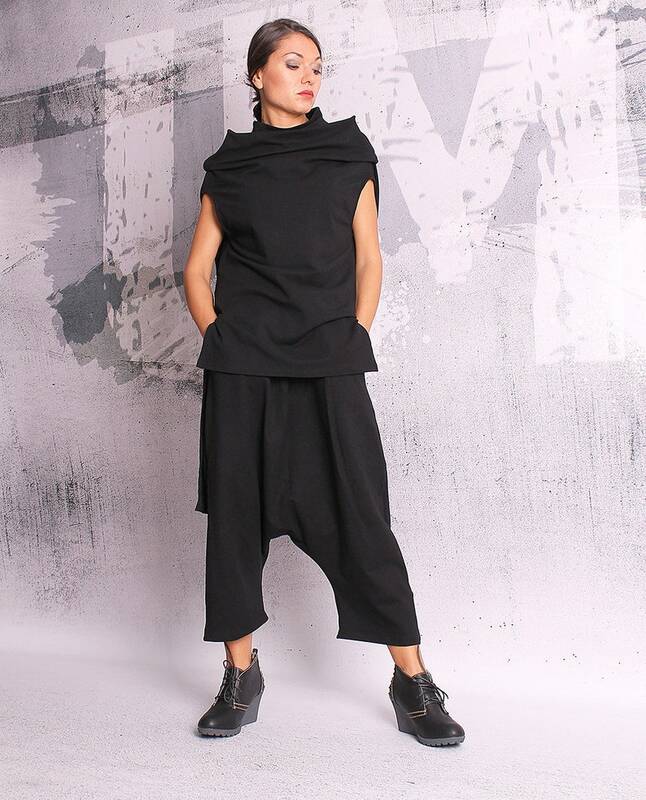 Black 7/8 loose oriental pants with two pockets. I can make the pants according to your size. Material - soft quilted cotton. Enjoy these pants and always be in a good mood! Nice pants, thank you . . . I purchased these pants as part of the suit and I couldn't be happier! The material is of excellent quality, it's well made and this is a stylish piece on it's own or as part of the suit. I love this and will be shopping from urbanmood again. My pieces were beautifully packaged, speedily delivered and it's clear that time and effort goes into providing great customer care. Thank you so much! Fantástico el conjunto entero!!! Muy buena calidad y a medida, es perfecto!!! Muchas gracias.